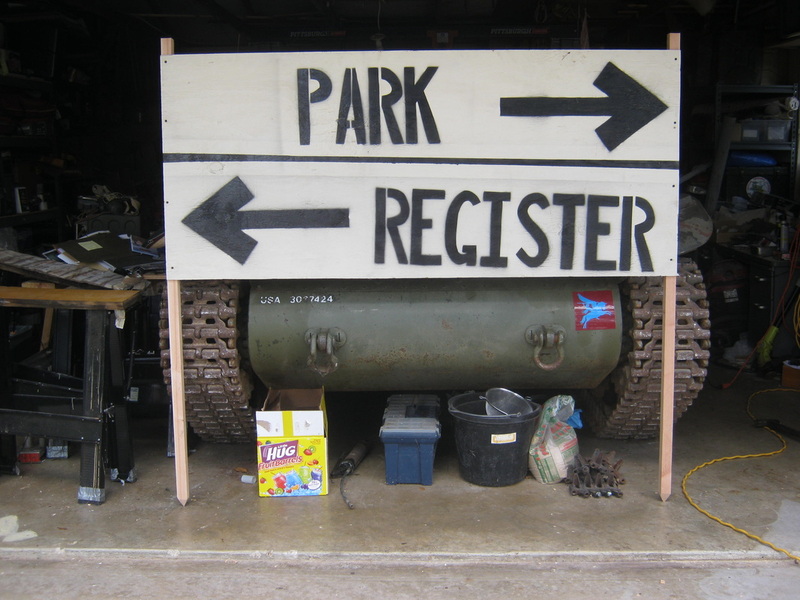 When you're driving to the event, after you've followed the "WW2" arrow signs pictured to the right, you'll come to the Park and Register sign in this photo. Then you'll know for sure you're in the right place. Park your car first, and then get your gear on and report to registration. Thanks! 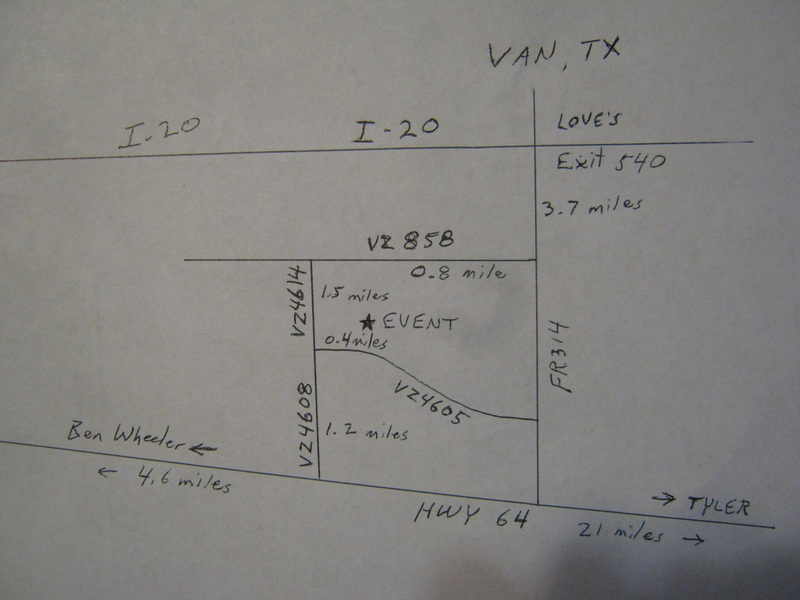 Driving Directions to the Event: From Interstate Highway 20 - Exit Interstate 20 at exit number 540 at Van. You'll see a Love's Travel Stop on the north side of the highway. Go south on FR 314 for 3.7 miles. Take a right onto FR 858. Go 0.8 mile. Take a left on VZ 4614. Go 1.5 miles. Take a left on VZ 4605. Go 0.4 mile. You are at the event. You will see the Registration and Parking sign for the event. Parking is in the field on the right of the road. From Ben Wheeler Texas - Take Highway 64 east toward Tyler. Go 4.6 miles. Take a left on VZ 4608. Go 1.2 miles. Take a right onto VZ 4605. Go 0.4 mile. You are at the event. You will see the Registration and Parking sign for the event. Parking is in the field on the right of the road. From Tyler Texas. Take Highway 64 west. Go approximately 21 miles. Take a right onto VZ 4608. Go 1.2 miles. Take a right onto VZ 4605. Go 0.4 mile. You are at the event. You will see the Registration and Parking sign for the event. Parking is in the field on the right of the road. 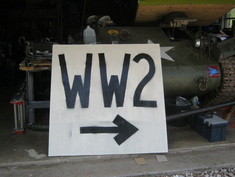 When you reach the road intersections and junctions near the event, you will see 4' x 4' signs painted white with black letters saying "WW2", with black arrows pointing the direction to the event.
."Operation Thursday" Location: Here is the physical address and the latitude/longitude coordinates. Use the physical address for BATF paperwork, BUT DO NOT USE IT to try to locate the property with GPS or Mapquest or Google maps, etc. IT WILL NOT SHOW YOU THE CORRECT LOCATION. Use the Latitude/Longitude, and type it into GPS or cut and paste it into a google search, and it will show you the correct location. Thanks! 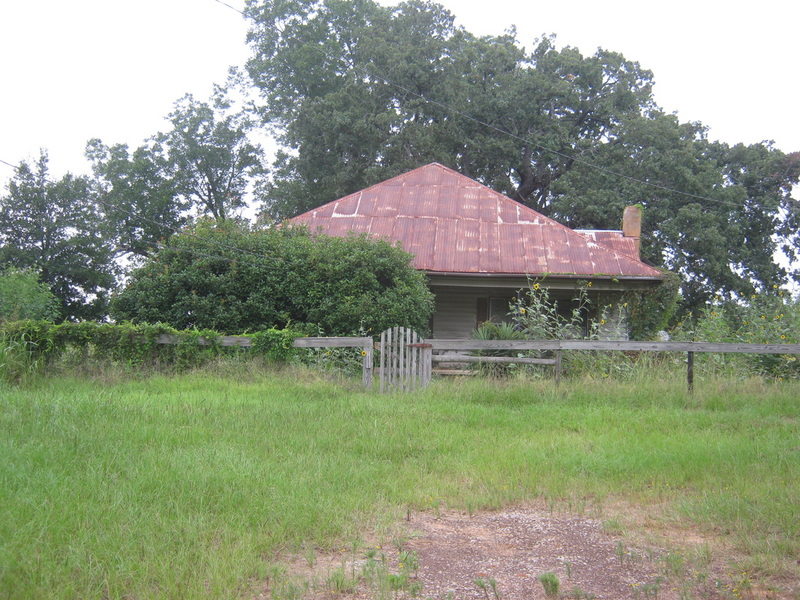 When you get to "Operation Thursday", you will see the farmhouse in the first photo, and there will be a sign out front pointing you to parking and registration. 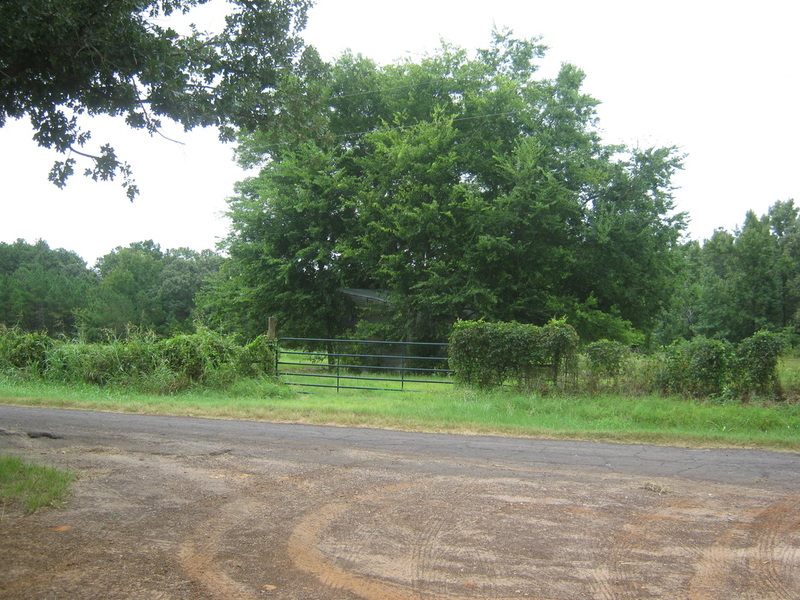 The gate in the second photo is across from the road, and that's where you will park your car, in the field inside the gate. When you've gotten your gear ready for registration, you will go back across the road and to the left of the farmhouse, you'll see a barn through another gate. That is where you will go to register. Go through the door into the barn in the fourth photo, and you will fill out your waiver form, get information and handouts, and be directed where to go from there after you pass your safety and authenticity checks.